The decision to eliminate Starbucks straws by 2020 is making headlines. But is it a step in the right direction? Because they can be made of so many different types of plastic and don’t include an identifying “chasing arrow” symbol, straws aren’t typically recycled. Americans use 500 million every day. So eliminating Starbucks straws seems like a good thing, right? Well, maybe. The new system actually increases the amount of plastic used for each drink. Starbucks itself admits that the world’s broken system compromises its ability to recycle plastic. Its corporate responsibility page reads, “With operations in 75 countries, Starbucks faces a patchwork of recycling infrastructure and market conditions…[which] may limit our ability to offer recycling.” Yes, the entire cup and lid are now recyclable, but where—and how? The choice to focus on a Starbucks straw phase-out allows the company to skirt the issue of reusability. There are reusable cups in all locations, yet most people simply don’t know they exist. That’s because baristas are trained to automatically make drinks in to-go cups—regardless of where the customer plans on drinking it. How can Starbucks help you reduce plastic in your life? Tweet me your suggestions @rachellsarnoff! Shifting corporate culture to add the simple question— “Would you like that for here or to go?”—would increase the use of reusable cups so that plastic can be avoided altogether. 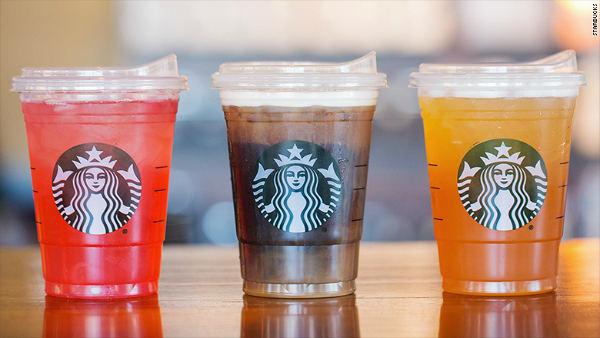 Finally, although I focused on straws as an entry point to the plastic pollution problem in my TEDx talk, more and more the focus on individual product bans like that of Starbucks straws seem to be missing the point. Packaging now consumes more plastic than any other category, yet only 14% of it is recycled. Plastic far lags behind glass and aluminum in terms of recoverability and is sorely undervalued. We need to re-think the entire system, before patting ourselves on the back for simply eliminating one small piece of the puzzle. ← Solo Cups Are Styrofoam? Starbucks has the responsibility to do everything it can to use recycle-able products!